The holy month of Ramadan has started. As Aagrah Restaurants have done in previous years, we’re offering all customers who break their fasts with Aagrah a COMPLIMENTARY IFTHARI. The Ifthari will consist of fresh fruit & dates served at the table. The Ifthari Buffet will be available at Aagrah Midpoint during Ramadan. Enjoy a huge variety of starters, delicious mains and decadent desserts for just £15.95pp! 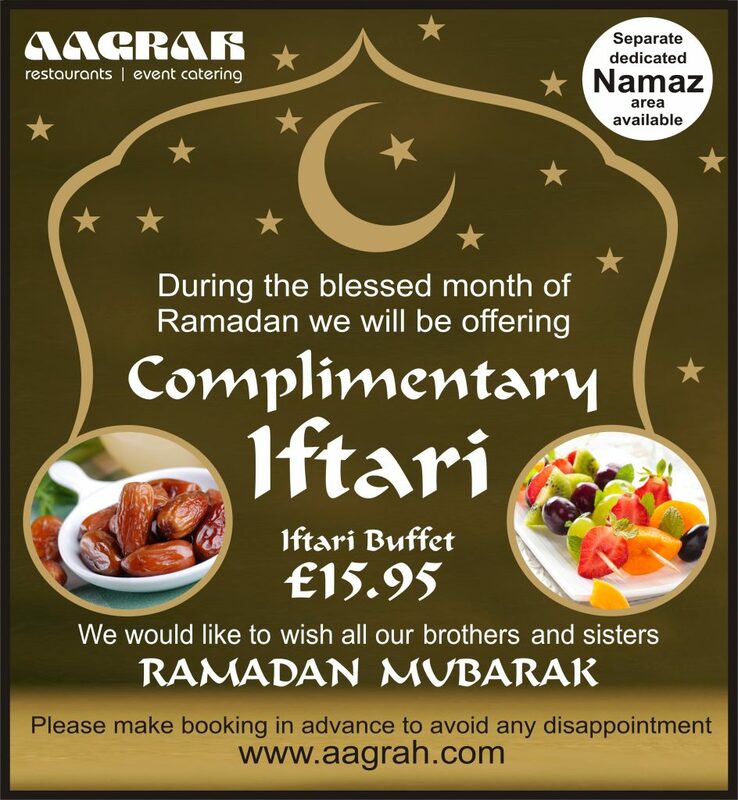 We hope to have the pleasure of welcoming you to an Aagrah Restaurant during Ramadan.